Have His Carcase, first published in 1932, is another brilliant book – completely different from the last book I wrote about (see my previous post) but just as fascinating and absorbing. 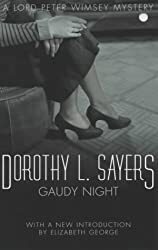 It’s crime fiction from the **Golden Age (see the note below), that is between the First and Second World Wars, and is the second of Dorothy L Sayer’s books featuring Harriet Vane, a crime fiction writer, and the seventh featuring Lord Peter Wimsey. They first met in Strong Poison, in which Harriet was on trial charged with the murder of her former lover. In Have His Carcase Harriet is on a walking holiday when she comes across a dead man, his throat cut from ear to ear, lying on the top of a rock, called locally the Flat-Iron, on a deserted beach. Fortunately she has her camera with her and takes several photos, which come in very useful as by the time that she can alert the police the body has been washed out to sea. It appears that he committed suicide. Wimsey arrives soon after and he and Harriet they set out first of all to identify the body and then to prove that it was murder. It is an example of the puzzle type of crime fiction – incredibly complicated and seemingly impossible to solve. It involves numerous characters who are not who they first appear, complete with alibis, disguises and false trails. 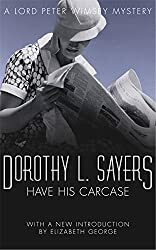 Sayers, helpfully included a schedule of things that Harriet and Wimsey noted about the victim and the suspects, which I found useful as this is a long novel that took me several days to read; with so much information I just couldn’t remember it all as I read the book. It all hinges on the timing of the discovery of the body and the movement of the tides. 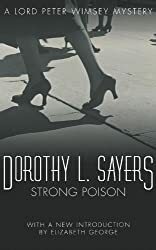 As in The Nine Tailors (and in fact in all the books by Dorothy L Sayers that I’ve read) there is a lot of detail, all of which is essential to the plot; detail about the body, how it was found, how the throat was cut , and what the blood was like when Harriet found the body. In the hands of another writer this could have been too graphic for me, but I had no difficulty reading such detail at all! I loved the complexity, the details, and the various solutions Wimsey and Harriet considered. It kept me guessing throughout the book right from the start – just who was the victim, even when he was identified there was more to it, who murdered him, why was he murdered and above all just how and when was he murdered. It’s brilliant! **Note: I must get a copy of Martin Edwards’ new book The Golden Age of Murder, investigating how Agatha Christie and colleagues in the Detection Club transformed crime fiction, writing books casting new light on unsolved murders whilst hiding clues to their authors’ darkest secrets. It’s due to be published on 7 May.